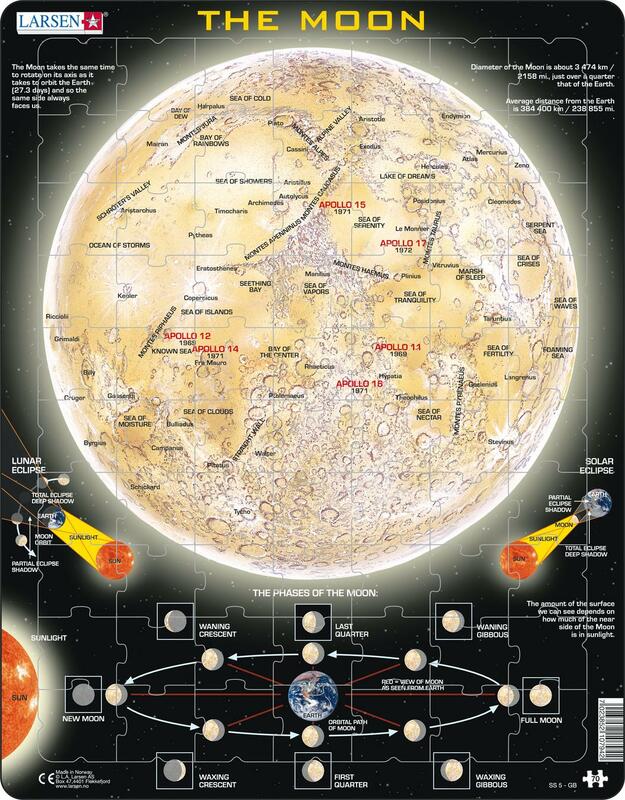 Let your child jumpstart their love for astronomy with this educational puzzle about the moon! You will find the names of the moon's mountains; valleys and areas. Also marked are a few places where spacecraft have landed. The phases of the moon are listed at the bottom; along with other additional factoids. This puzzle is designed with STEM in mind, and to help facilitate a love for science and learning. It all started with a single puzzle. In 1952 five yeard old Pal E Larsen was given a single cowboy puzzle from his Aunt in America. Made of deeply cut thick board, this puzzle proved to be the catalyst for what would become the Larsen puzzles we know today.